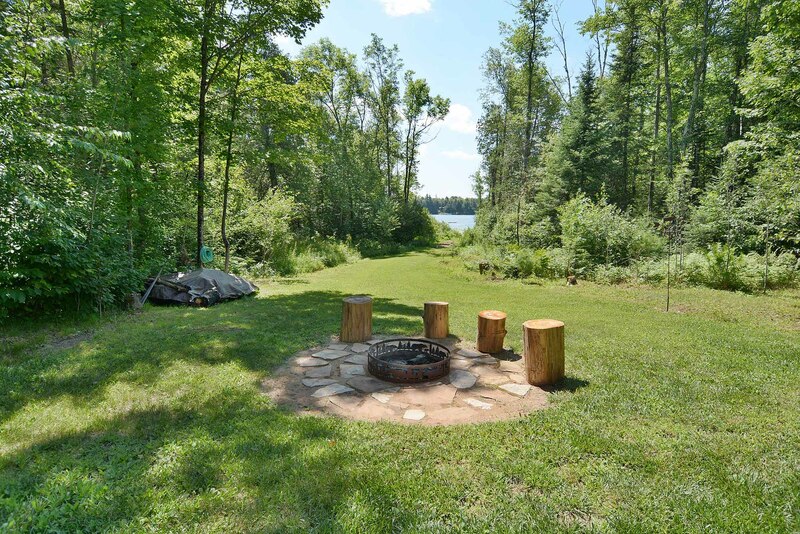 Crystal Cove Lodge in Clam Lake, Wisconsin is a very comfortable, newly constructed 3 bedroom chalet-style lake home located on the shores of 166 acre Upper Clam Lake. 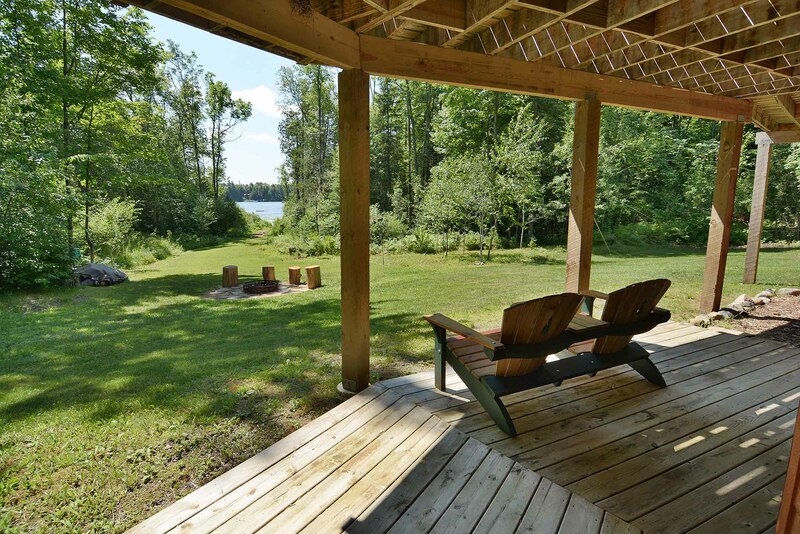 The new home offers beautiful sunsets, large deck, natural lakeshore and a spacious interior. 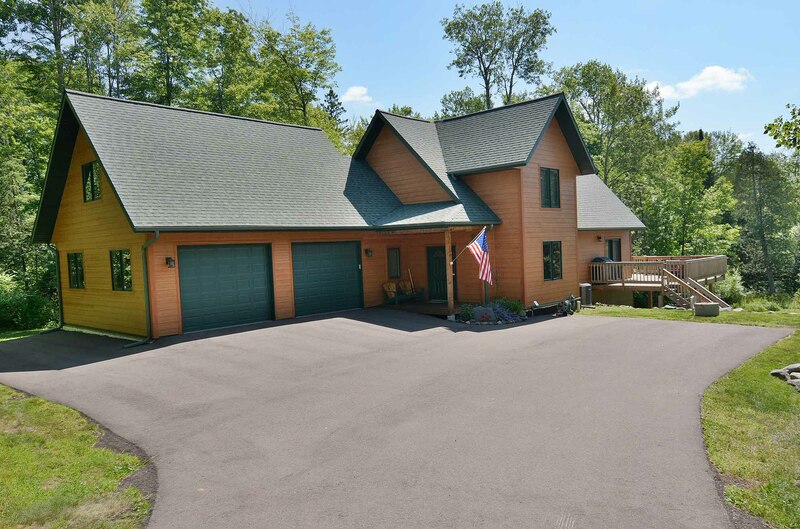 This year round vacation home rental’s amenities include 3 large bedrooms, 3 full bathrooms, AC, dishwasher, cable TVs, phone, and a large grill. 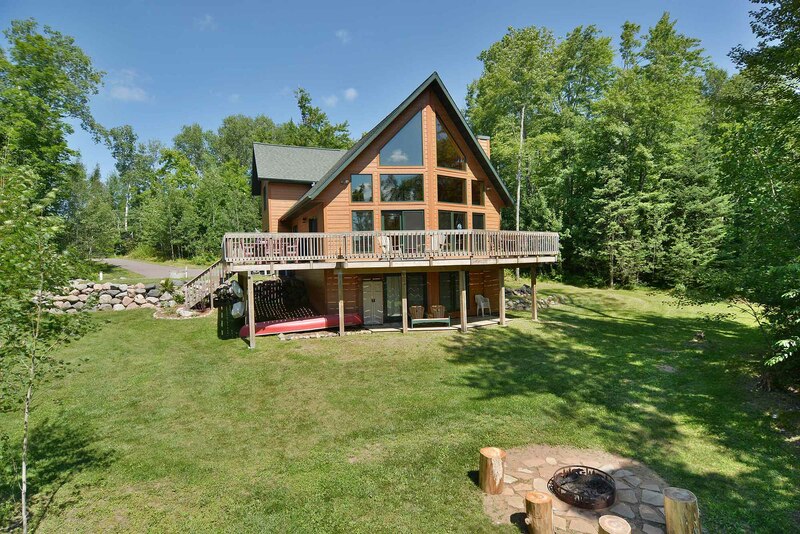 Located on a snowmobile/ATV trail, this beautiful home is convenient to Clam Lake, Hayward, Cable & the outdoor opportunities of the Chequamegon National Forest. Ride from the front door! 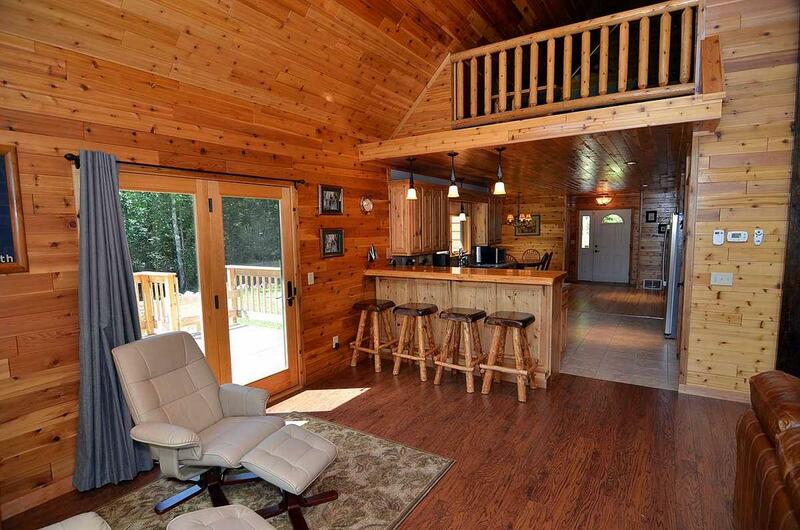 The private vacation home is fully furnished with all of the modern amenities and conveniences to make your stay comfortable while also offering lots of rustic appeal including a stone gas fireplace, wood floors, and paneling throughout. 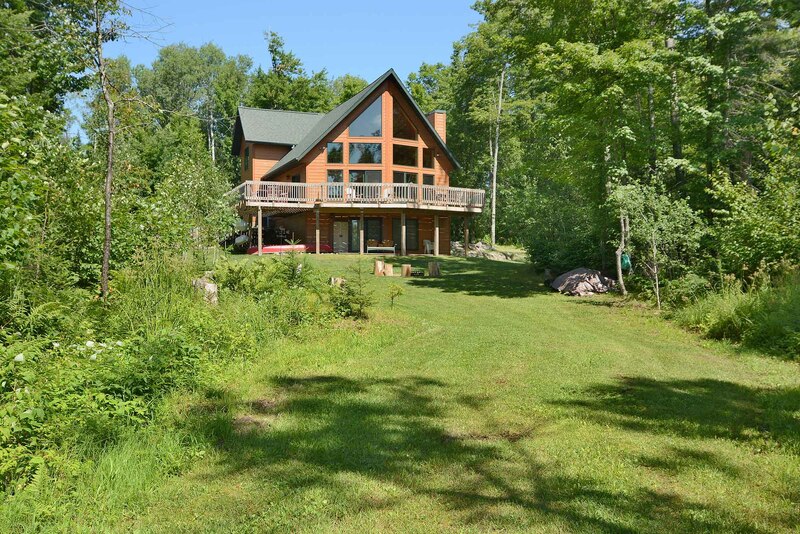 The home is perfectly suited for a winter retreat with direct access to snowmobiling trails and the lake for ice fishing or skiing. 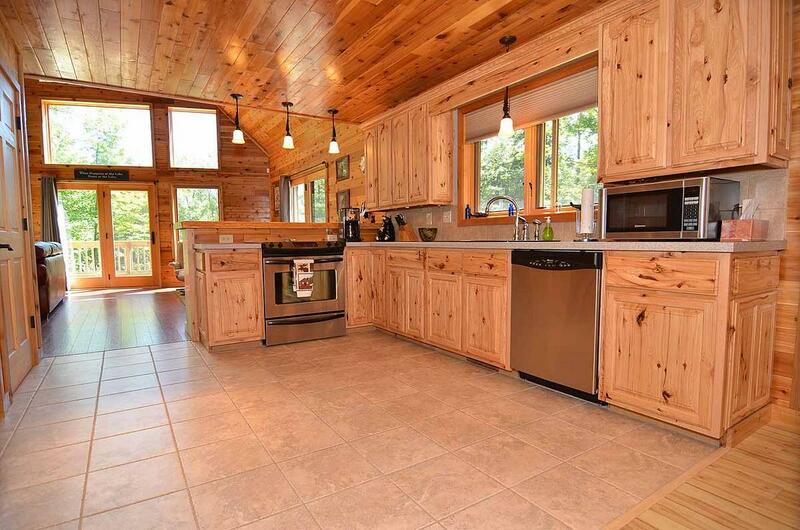 The heated floors, gas fireplace and modern conveniences (i.e. 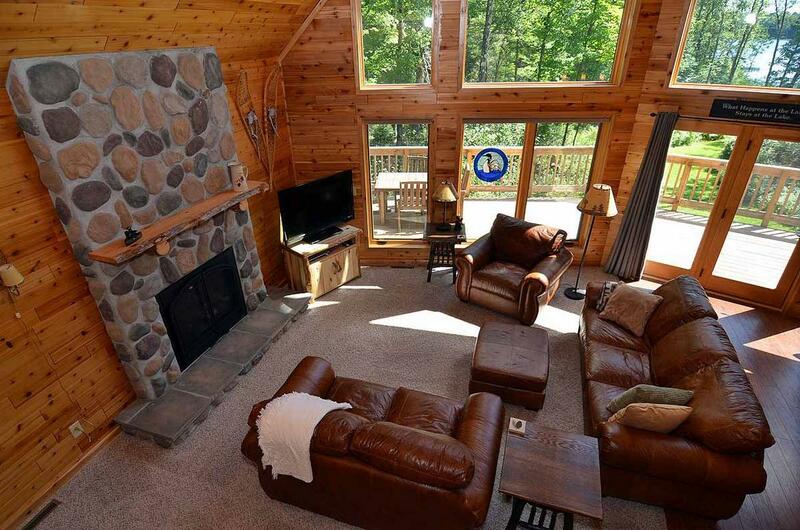 Wi-Fi Internet, cable/flat panel TVs) allow for a perfect winter or summer retreat! 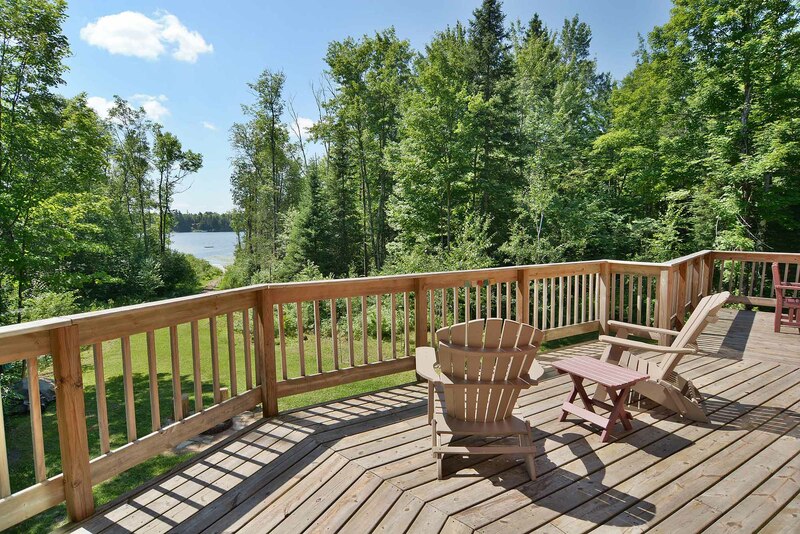 The large wraparound deck provides a relaxing location to enjoy the sun and wooded Northwoods setting as well as a view of the lake. 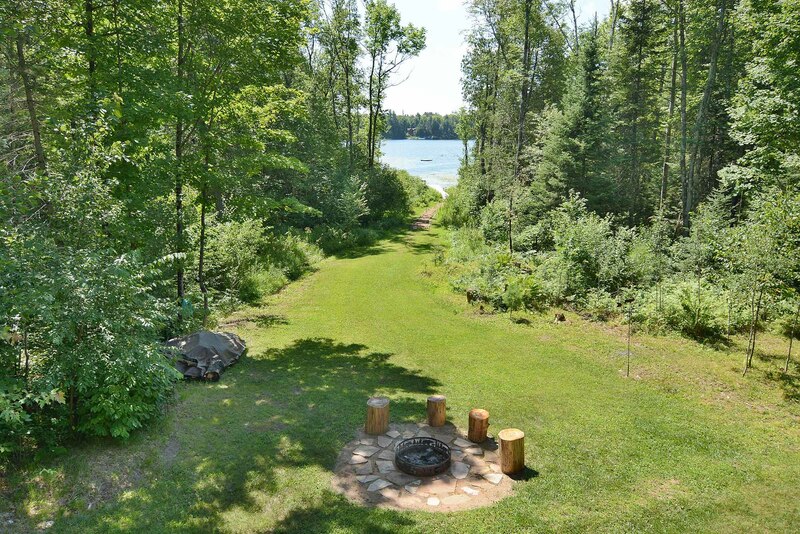 There is also an outdoor fire ring. 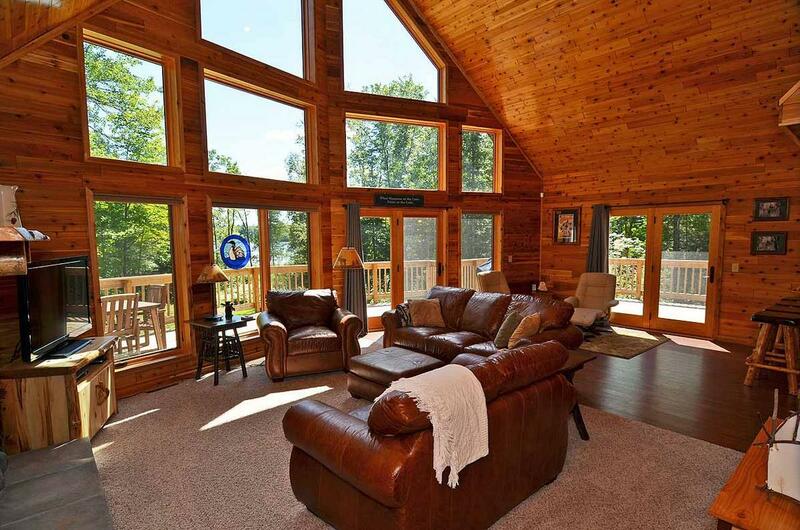 The great room with vaulted ceiling and rustic wood floors, walls and ceiling is comfortably furnished. 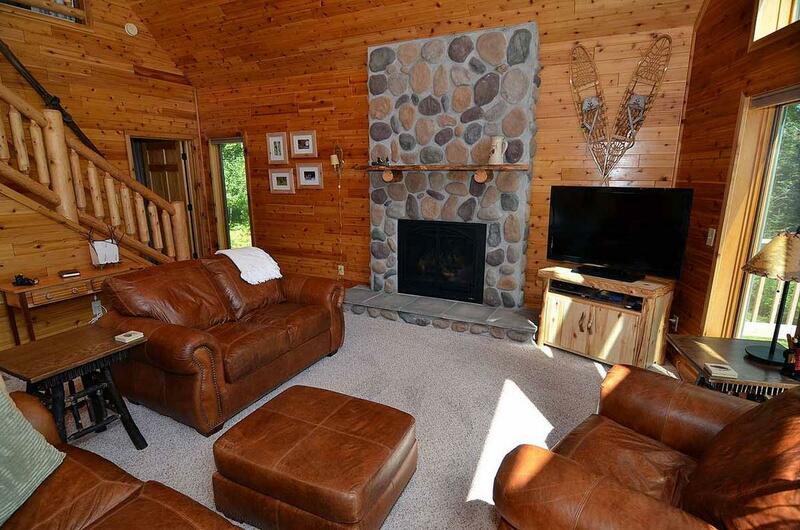 Cushy sofas and chairs surround the stone gas fireplace and flat screen TV. 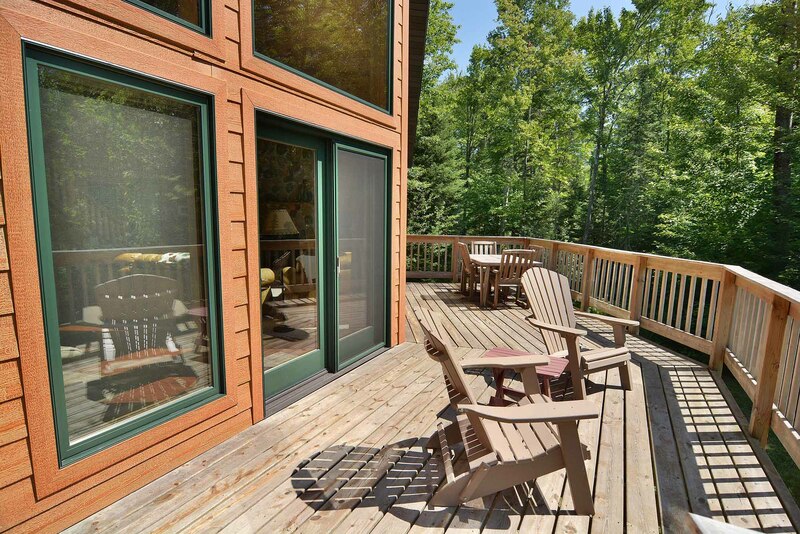 Patio doors lead to the large deck from the great room and a wall of windows frames a peaceful Northwoods panorama. The spacious kitchen and dining area feature wood cabinetry and new appliances including refrigerator/freezer with icemaker, dishwasher, microwave, electric stove/oven and coffeemaker. 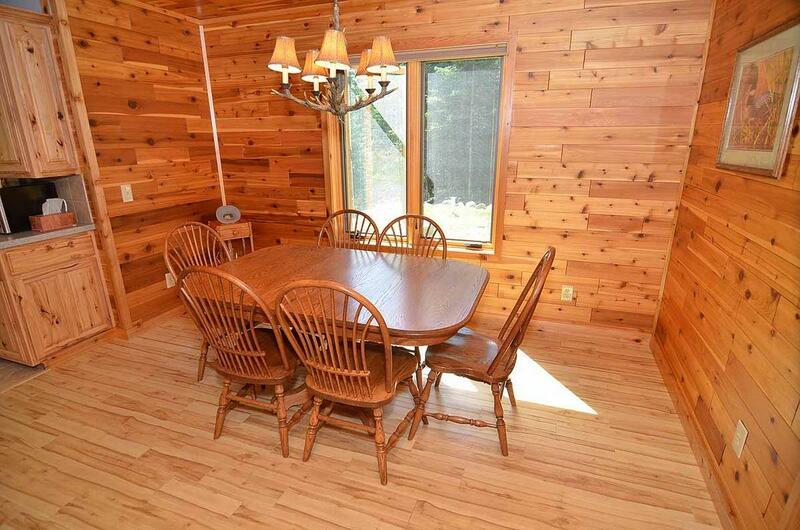 There is a raised counter and stools for dining as well as a full dining table. 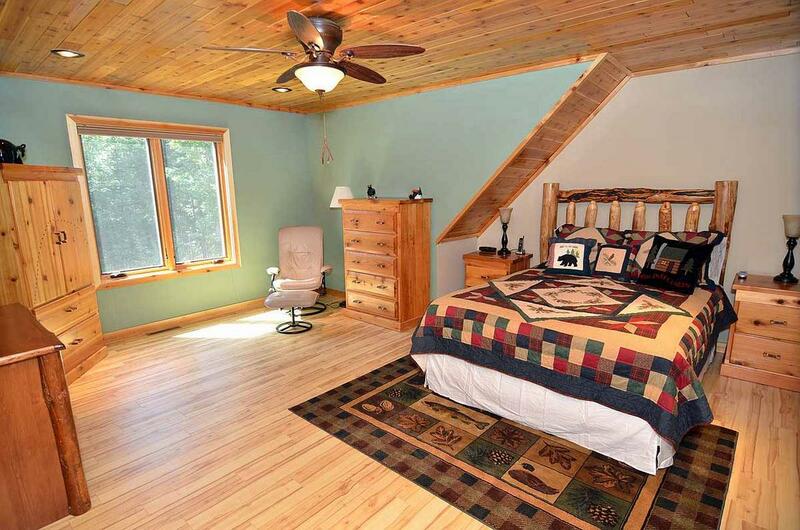 One of the three bedrooms is on the main floor off the great room. 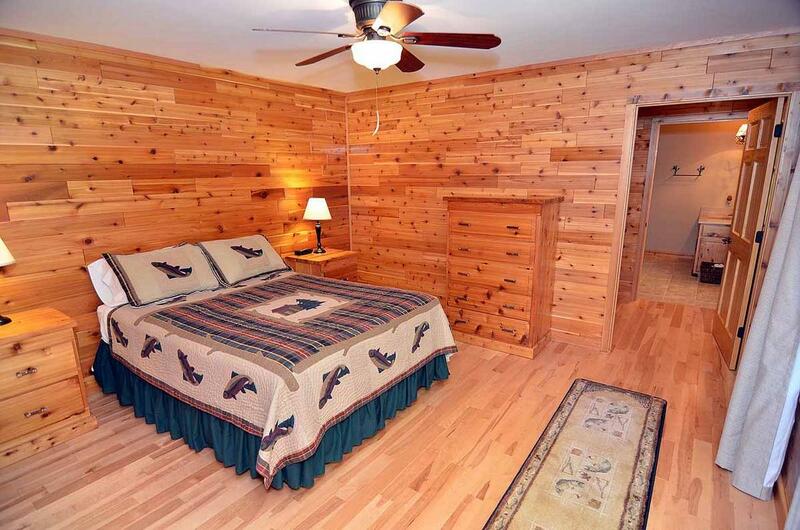 This bedroom has a queen bed, ceiling fan, walk-in closet and its own full bath. 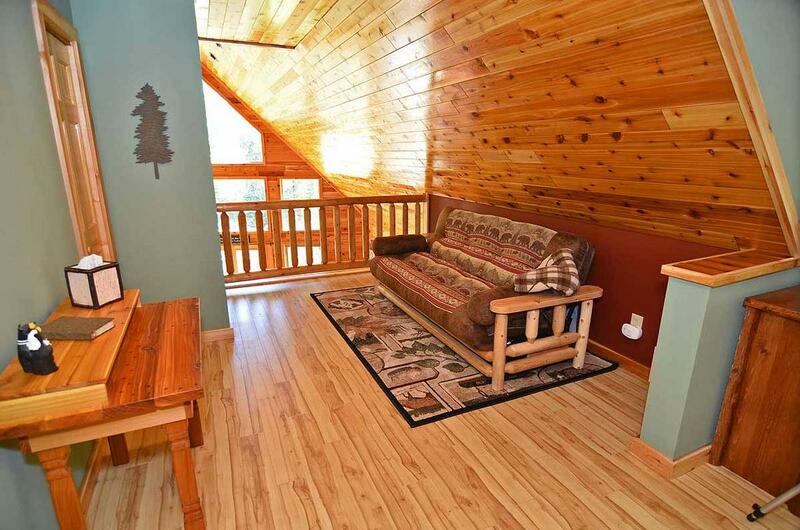 A second spacious bedroom is in the loft with a queen bed, futon sofa sleeper, ceiling fan, TV and full bath. The master bath has walk-in shower and Jacuzzi tub. 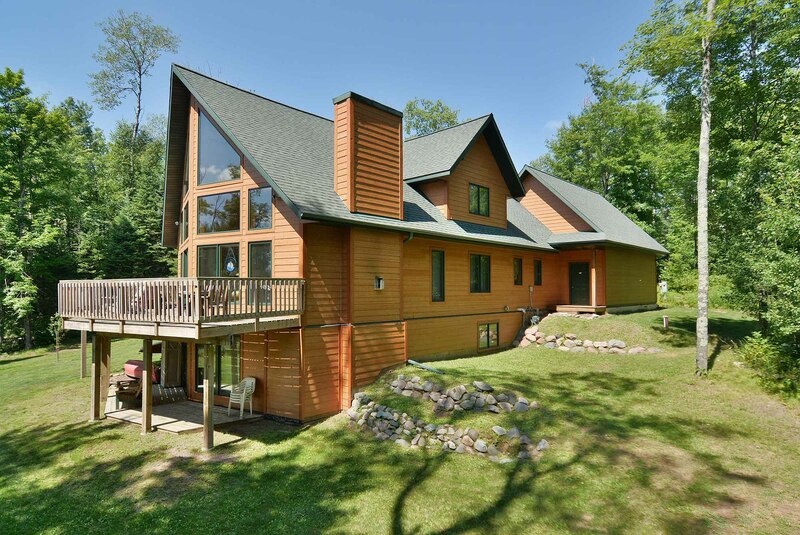 The walkout lower level contains a carpeted family room, full bath and the third bedroom which has a bunk bed and double bed in it. 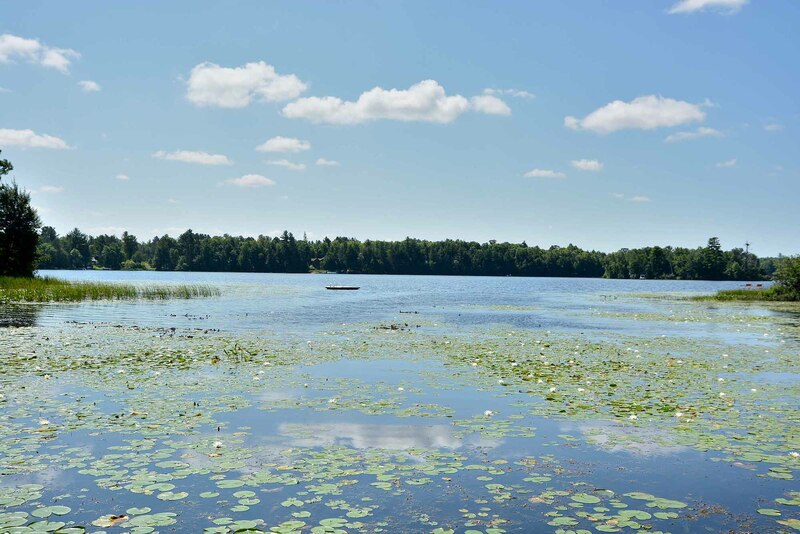 Upper Clam Lake is located within the Chequamegon National Forest in Ashland County. 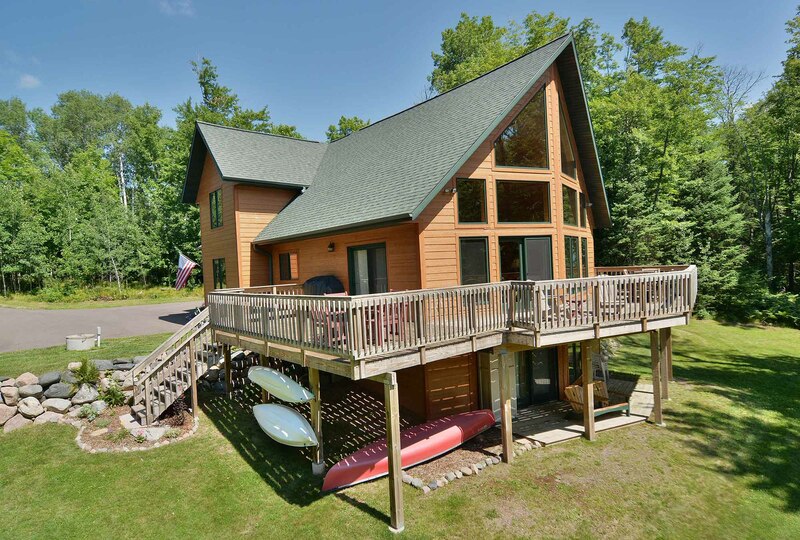 Part of the West Fork of the Chippewa River, the 166 acre lake has a maximum depth of 23 feet and is a popular fishing lake with northern pike, bluegill and largemouth bass. Walleye, muskie and crappie are also caught. 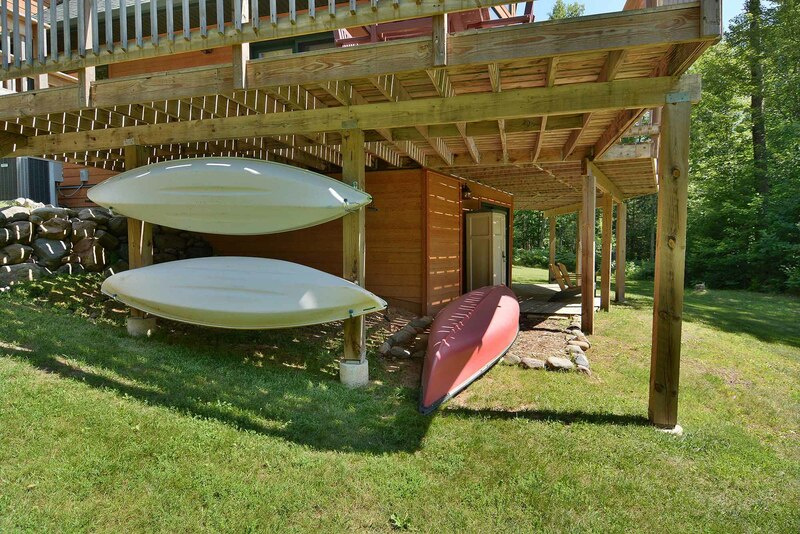 It is a very friendly lake to paddle in canoes and kayaks, too. There is a public boat landing.